If you are looking to get best out of your pinterest, then you have got some easy ways to get it done. 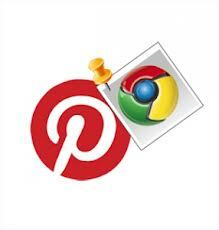 Try making use of Google Chrome Extensions, which performs the functions of Pinterest with a single click. Here I am dropping some of the best pinterest chrome extensions. All you need to do is just install pinterest chrome extensions from the down mentioned pinterest chrome extensions and once installed you can see a pinterest button besides to your url bar of your browser making you to easily pin your favorite topics, pictures etc. One Click Button Pinterest: This extension will simply add a button in the toolbar of your Chrome browser, this button will work exactly similar to the bookmarks offered by any website. We can say it may be convenient for those who do not use the bookmarks bar in Chrome. Pin It: By making use of this extension, you will be able to “banging” content on Pinterest faster and also you can simply install this extension to create a keyboard shortcut (Ctrl + Alt + P) that allow you to send the current page to Pinterest. Pinterest Pro : With this extension, we can make the most of our stay in Pinterest because we can zoom images, and allows to send a picture with a right click as the previous application. Pin Screen 2 : An ultimate chrome pinterest extension that enables us to do a screenshot and then to automatically share Pinterest. If you are facing any with install pinterest chrome extensions, let us know through comment section and will help you to sort it out. Happy pinning.